Diego had an extremely varied near death experience. While many have an out-of-body episode, that seemed to only cover one aspect of their life, such as meeting past family, a life review, or speaking to a high spirit; Diego’s NDE was a tour-de-force, commencing with a life review, a glimpse at the process of spirits traveling back and forth to earth and the newly departed journeying upwards. He conversed with a high spirit and was shown personal future events … and what is most startling; allowed to retain memories of what was revealed. Diego wrote about his account and sent it to the North West Spiritism site. In the site there are many articles written about individual’s near death experiences that are interpreted by the Doctrine of Spiritism. 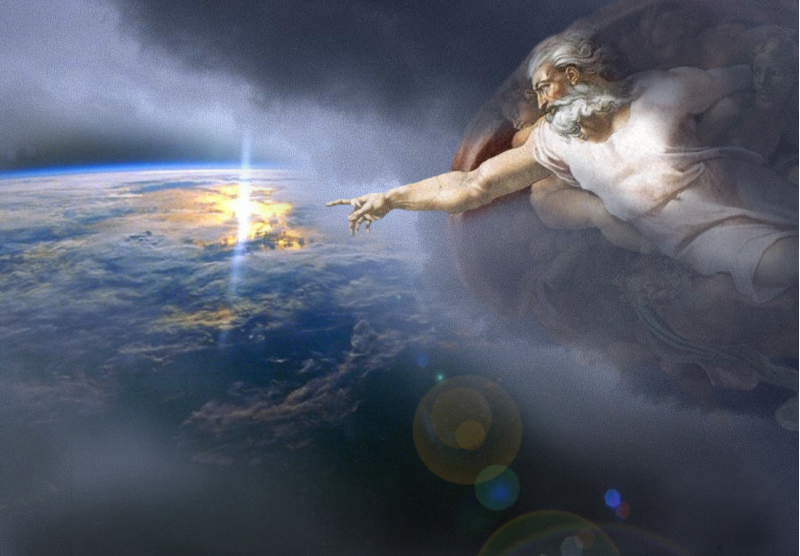 The spirit realm, that sub-section which circles the earth, is under the leadership of Jesus; He is the governor of our small orb and is responsible for all of humanity. He decided it was time to free all cultures from the manipulation of organized religions, which had forgotten that they were on this planet to serve mankind, not to be served. Therefore, in the 1850’s, through a series of communications with mediums throughout Europe and under the direction of Allan Kardec, The Spirits Book was codified. The organization, the processes, the goals for each of us, the cycle of multiple lives we travel through, our immortality, were all exposed. The truth of why we are here and what is our purpose, was, for the first time, laid out … not in parables, but in plain words. Thusly, may we understand the reason and what the spirit world is trying to tell us when near death experiences occur. Spiritism isn’t a religion, it is a Doctrine that is available for you so you may determine how to live your life. There are no rote prayers, no dress codes, or foods you can’t eat. Spiritism doesn’t like to use the word “sin”, instead uses the word “wrongs”. Wrongs are those deeds that you, through your conscience, knows to be in error. For example, Spiritism doesn’t state that homosexuality is wrong, only if you lie to a partner, or take advantage of your significant other, then that is a wrong. A high spirit summarized the Doctrine of Spiritism by stating that if you follow the Golden Rule, you are well on your way to becoming spiritually advanced. Treating others as we wish to be treated sounds so easy, but difficult to put in daily practice. To take this command at heart is one of the primary reasons we are on this planet; for many lives. This knowledge was brought to all of us, so we may learn how to best take advantage of our time on earth. So we may understand that focusing on material goods is to miss the point of why we were allowed to incarnate into a physical body. Our goal is to advance spiritually; to love, to be fraternal, charitable, and honest individuals. “Suddenly I saw myself near the roof top looking down at my body. I was floating on it, and at the beginning I didn´t recognize it. I first told myself, ‘Whose body could it be?’, because it looked strange, until finally I recognized it as mine. Then a voice told me, ‘Come on’. I felt that person near me, although I couldn`t see him and we began going up through a viaduct full of humid like fog which was refreshing. I saw other viaducts with people going up. When Diego left his body, a spirit was there waiting for him. One hears this fact over and over again in NDEs. No one seems to question how did they know a certain person was about to die and leave their body. We seem to just accept this fact, like children knowing their parents are there in the middle of the night when they have a bad dream. Children don’t question the presence of their parents, they just are. Whereas, we should; because knowing why spirits are on-hand to greet us and show us the path to the light, is one step in acknowledging how the spirit realm constantly watches and cares for us. There is an answer, and it lies in the fact that spirits live in a world of four dimensions, not three … there is more, the speed of light isn’t the speed limit. “I left my body with a sensation of an ascending pathway and flew to a place which was still. There was a subtle bluish fog, a dark dimness. Suddenly I thought, ‘am I talking to myself’? The guides told me, ‘No, you are not dreaming, look at your family.’ In front of me were the dead persons of my family, there were also people I didn´t know and a lot of children. All of them were smiling and they were very happy to see me. A spirit met Diego at the time of his NDE and seconds after he left his body, family members who were deceased were gathered to meet him. This is the point of the story where people who doubt the validity of near death experiences point to the false convenience of collecting a group of people, all known to the person reporting the story, instantaneously. It is as if, one woke up thinking about four or five best friends and wishing to see them at a certain location, a place where they had never previously been, and then going to that place and viola … they are all waiting for you. If one is speaking about our physical world, then I would have to agree the possibility of such an occurrence is minimal. But, we aren’t talking about our world, we are now in a different realm entirely. A place with a different set of rules. A place that is actually our true home, not this planet, upon which we have been sent to be trained. The same is true in the levels of heaven. In the beginning level, where G. Vale Owen’s mother lived, she and her friends were able to travel to the surface immediately. She was also able to travel around the first level by means of her will power alone. But, she was not able to go to the higher levels of heaven. This is the rule for each successive level. Spirits may travel downward at will, but they are not able to become less dense, meaning more and more pure energy, until they acquire the required qualifications to be allowed to live in the next level. Hence, as you rise, your freedom of movement expands, until some future time, when you will be able to roam the universe(s) at will. This explains why Diego could see some spirits and not others. The higher spirits, until they transform themselves into denser beings, would be difficult for Diego to see. He wouldn’t be able to discern the details of their face or body. Just like a dog gets use to the parameters of their world when their owners have an invisible fence, we in our spirit form, are limited in the same manner. In a most natural fashion our boundaries are set. We are physically unable to go regions which are beyond our capabilities. Spirits live in a world of logical constructs. We read books about conjuring, bringing forth objects from our mind; it is a reality in the place you shall return to. A single or a group of spirits concentrate on what they want to construct and build it by their focus of mental energy. Doesn’t this explain why we are being trained to become civilized beings on earth? Don’t we have to remove any trace of malice, jealousy, envy, desire for revenge, selfishness from ourselves before we are ready for such power? 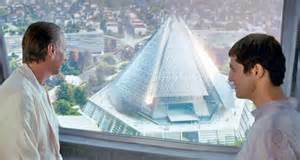 Would you dare to live on a planet, where anyone could walk by, destroy your house, dematerialize whichever object they desired? Only in a world full of kind and loving souls could people live together amidst such commanding force. Therefore, Diego’s family and others, who he would come to know in the future, were gathered. All of them were notified of Diego’s event and they responded by arriving at the place designated to them by a higher spirit at a speed that is beyond our reality. While Diego met past family members, he also was introduced to people who were alive at the time of his NDE. How could this be? Again, Spiritism provides the reason: When we sleep our spirit is free to roam. We are free to meet other souls, whose spirits are liberated while sleeping, spirits who are not connected to a body and locked on earth or below, or spirits who reside in heaven. The unknown people gathered at Diego’s NDE were freed from their body and requested to come to meet their future friend. Most probably, when they woke, their recollection of their time in the spirit world would have been translated into a fuzzy memory of encountering a stranger in an even stranger environment. “Poor human beings! How little you know about the most ordinary phenomena that exist in your life! You think highly of yourselves; you think that you have a vast knowledge and remain speechless before these simple questions framed by all children: ‘What do we do when we are asleep? What is the meaning of dreams?’ I don’t have the pretension of making you understand what I want to explain, since there are things that your spirit cannot submit to, because one can only admit what one can comprehend. “I began a dialogue in which I relived whatever I wished to, and then all my life. A process of judging myself began regarding the earth life. I questioned myself and wondered what I did right or wrong, but also adopted my own defense, and then I wanted to know the reasons for everything. I became inquisitive. Suddenly I entered inside myself and noticed that I was in a conflict of understanding, of fearing (due to guilt), of overcoming and finally accepting all the occurrences and consciousness of each stage of my life, I understood the methods and resources I had had at hand to be able to go through the artifices of this past life (I found myself in a lighter blue light). I saw groups of beings who saluted me. I noticed that no one judged me, they were all kind, while I did judge myself. I perfectly understood that what I had lived in this physical life was as important as it was unimportant. Then, identifying myself with my Diego ego in the earthly realm, I began to judge myself, to blame myself, and I took decisions accepting some things, and leaving aside others; because in the depth, there was no real guilt. Suddenly, with a ‘scandal of voices’, I understood that “everything” is valid, everything is excusable, because my position in my life on earth, was just a very small one in an open game of evolution. Suddenly my guides were again beside me with their big eyes, lucid and paying a lot of attention. I again saw simultaneously all my life. It seemed to me very interesting to ask a lot of questions, and I saw with nostalgia some periods lived. I understood that most of our ambitions are ambivalent and not at all transcendental. All my life appeared like a 3D movie before my sight, at an extremely high speed. I asked the guides if the vision could be slowed down, so that I could talk about certain periods which I thought important. They answered that they were not as important as I was thinking. I told them I wanted to analyze each period lived, but they told me it was not necessary because they were not worthwhile. They said I knew very well how non transcendental they were. All was said very kindly. But I felt frustrated. They told me not to worry about my self-analysis, because there was no judgment at all. So I understood I had to go on ascending. The guides that accompanied me were kind, tactful and VERY COMPLIANT, but impenetrable, inscrutable, when certain questions were asked, and when they did, they answered with only a smile. The communication was by telepathy and they knew instantly what I was thinking. Their answers were essential, sparing, concise, precise and certain. They were very calm, unadorned, frugal and with a tender sense of humor. Everything was understood without being said. Diego’s account of his past life review says it all about why we are here on earth and how we are guided by the spirit world. His life is a series of learning experiences, what we see as major disasters are but expected behavior. As we watch our children make the wrong decision time after time, never losing hope they shall learn eventually, and grow to become responsible adults, the spirit world too, knows our mistakes are learning opportunities. Whereas, we might see in one past life, that we committed fraud in our delirious quest to become rich, to the spirit world, that is one more mirage that needed to be dispersed. One more step in the arc of our lives, for us to see the desire for material wealth is a turn down a dead-end street. It leads to nowhere and wastes our time. Hence, episodes that Diego agonized over were trivial and part of the expected process to those who can see the span of eons. After all, the entire group of spirits who participated in Diego’s life review have been there before. They have made the same mistakes, or worse. Think of Judas, a hated figure by many. Spiritism tells us that Jesus on the cross was worried about Judas, for Jesus, being a high spirit, knew what Judas would do … his betrayal was part of the plan. Jesus loves Judas, as he loves us all. Some Spiritist says Judas was reincarnated as Joan of Ark. Hence, he too, was given a chance to right his mistakes. Not on the orders of the spirit world, but according to his wishes. Diego, when he thought, “I perfectly understood that what I had lived in this physical life was as important as it was unimportant,” grasped the concept of immortality. It was as if, the adult Diego was looking back at the time he got a “D” on a test, it was important at the time, but then again, he rose above it, and it became unimportant as the years passed by. The cool and caring atmosphere of analyzing, what to us are deeply embarrassing events, illustrates the background of love and understanding existent in the spirit realm. This ocean of love which surrounds us in the heavenly spheres is why many people don’t wish to return and why Diego was cautioned not to embrace his family. The juxtaposition between the harsh reality on earth and the warmth of the spirit world is dramatic and would tempt any sane person to remain, regardless of their responsibilities on our planet. The end of life reckoning awaits us all. For better or worse … it depends entirely upon our actions, we shall judge ourselves. The panel is actually there to prevent you from being too harsh, too severe in your opinion of yourself, or on the other hand to not allow an unrepentant soul to ignore the deeds they truly committed. They smooth out the proceedings, they provide the long term view, and they enable you to step outside of yourself, as a person slightly removed from your temporary body you inhabited on our sphere. Only the act of reincarnation supplies the required trials to fully mold our character. 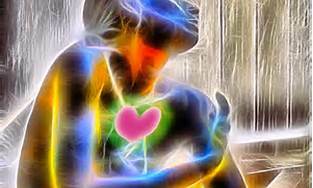 The spirit world can do part of the job, but as one travels higher, the love acts as a benevolent force that super charges our intellect and shields us from emotional pain. For even as we ascend, we still require the shock of the reality of earth to remove our blemishes. Only a sojourn on a chaotic, severe, ruthless, and sometimes intolerable planet can provide the stimuli to cut out our less desirable attributes. To learn more about reincarnation and how we are part of the planning for our next life, read my book The Case for Reincarnation – Your Path to Perfection. After Diego’s life review, he came to a place that resembled an old train station. He could detect and even converse with souls rising from earth and spirits returning to earth. 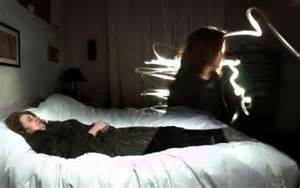 Some had just been visiting the spirit realm during their sleep, others were leaving their physical bodies for the last time. Like any large city, movement is constant, with enough souls, there is always someone on the move and an organization is required to maintain order. We think of the spirit world as clouds and the music of harps; in reality it is a functioning well-oiled machine, in the business of teaching immature spirits to become valued members of the higher levels of heaven. “I saw people descending, going back, and others ascending. Some people were known to me for 20 earth years, but I hadn´t seen them again. I asked them what they were doing there, and they began to explain to me the types of illnesses they had had. I also met people unknown to me then, whom I met many years later in their bodies on the Earth realm. I asked one of the two persons I did know, what he was doing there, and he told me he had had a very serious health problem, and almost died, but the health problem had already been solved by the doctors. This is the reason why he was going back to his body. Nevertheless, another friend who was a friend of my family for many years, was leaving the Earth realm in a definite way, so was I told. Then came some guides to take the friend who had been ill, back to Earth through a tubular shape in descent. There is an army of spirits who watch over us, guide us, and help lead us during our time asleep in the physical world to our last day on earth. What Diego witnessed is just another day at work for many dedicated spirits who have chosen to help their fellow man. Spiritism have brought to us more information about the help given to the dying and the souls who have passed over from the physical world to the other side. In the series of books by the spirit Andre Luiz, psychographed by Francisco (Chico) C. Xavier, this subject is discussed from many angles. The caring and effort to help people make the transition is considerable. Again, what she has written is not only verified by other accounts in Spiritist literature, but these types of friendly after the fact life reviews are a theme in many people’s NDEs (Near Death Experiences). Diego was also a witness to this process. At the end of the day, we should realize that we are on earth for a purpose. As we go about our pre-planned life, with trials custom-made for our benefit, we are being watched. The spirit world looks for the right times to help and guide us. Diego’s NDE was at the right junction in his life. In Diego’s account there is no mention of any external circumstances that would cause an intervention by the spirit world into Diego’s life, but it must have been at a pivotal moment, for the spirit realm does nothing without good cause. “As a great surprise, a luminous, golden shape appeared. An androgynous being, shining as a sun, but not hurting my eyes. His borders were well drawn and he got near me, growing in size until he became a little bigger than myself .I felt marveled at the greatest beauty I had ever seen, a being that overflowed any ability to understand him, to the point that I almost lost my consciousness and wanted to become just that gracious , immense, beautiful sensation. The being was full of compassion and my consolation. He was a being of pure love, wisdom, light and energy I looked at the being face to face, in his powerful beauty and extraordinary energy, and it occurred to me that if I perceived His real shape, it would be equivalent to staying. The being surrounded me with an embrace, tender and noble, that is completely impossible to describe and that my earthly mind is incapable to translate. I understood all, and thanked him, because everything was possible. In my infinite haughtiness, I was facing a being that completely transcended me, of whom I was a small part, and could integrate with his kindness. He extended his hand to me, I looked at him deeply thankful, for allowing me to freely decide, and thankful for giving me the most beautiful and marvelous experience ever, I lowered my head, ready to accept whatever I had to although I knew my earthly mind wanted to have more experiences, and accompany my family. Again, I inhaled an exquisite and refreshing air, and the being, slowly lowered down his hand and with deep understanding went away. A high spirit, reflecting the love which permeates the heavens like a perfect mirror, instills the feeling of awe. Not out of fear or a sense of inferiority, but one of being bathed in the love that surrounds the being before you. Every fiber of Diego’s being was infused by the energy of the spirit in front of him. Diego fully grasped the absolute necessity of multiple lives … we are on a pre-planned course, designed specifically for each one of us. Each individual learns via different methods and each has his or her corrections to fulfill. No punishment is intended, only the opportunity to learn that which had been lacking in you heretofore. In that moment of lucidity, Diego’s spirit mind accepted the difficulties that he had and will have to live through. What seems like torture to us on earth is but a stimulus to cause an emotional reaction, a shock, to get us out of our comfort zone, so we may alter our character for the good. Leading us to become better, doesn’t ever end. 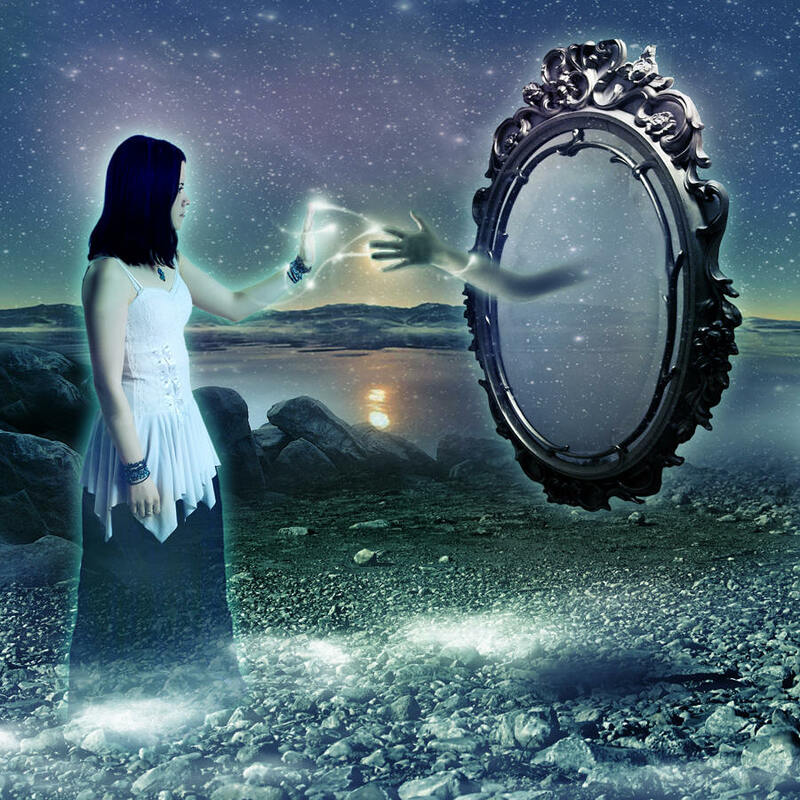 We are all assigned a spirit mentor, a superior spirit, who analyzes our actions and, in consultation with other spirits, plans the trajectories of our lives on earth and in the spirit realm. Learning never stops. Guardian Angels, the mere word conveys a warm feeling to your body; as if your favorite cozy blanket was covering you on a cold day, bringing warmth and comfort. Diego was able to commune with a high spirit, who may be his guardian angel. 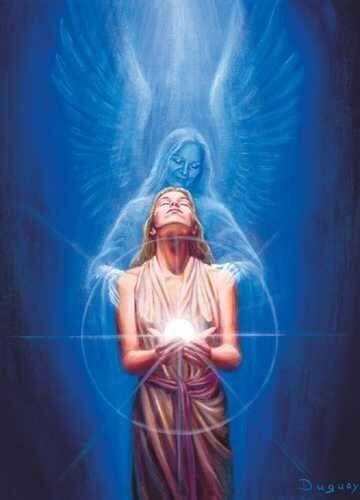 All of us, do in fact have a guardian angel, a mentor who guides us in our path to improvement. Spiritism notifies us that we are always watched, viewed with love and kindness … sometimes from afar and other times very close and intimate. The spirit Zabdiel, communicated with the Rev. G Vale Owen in 1913 about his spirit guide. 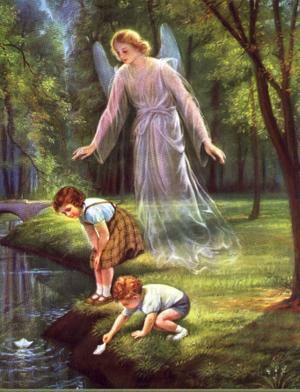 At first the presence of a guardian angel for one who is in heaven seems out-of-place. But that type of thinking is self-centered for us here on earth. We are spirits, encased in a physical body. The majority of our immortal existence will be in the spirit world. 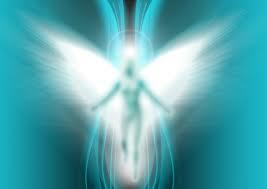 Our goal is to ascend up the levels of heaven, to one day, become a pure spirit. Hence, we require mentors to assist our quest. Not only when we are on the physical plane but also in the spirit realm. Zabdiel describes the time when he was standing on high mountains, at the upper limits of the tenth level of heaven. He was peering across a valley to the mountains that were the beginnings of the eleventh level of heaven. “Once I stood thus, with face turned towards my future home, and closed my eyes, for the intensity of light as it moved before me was more than I could bear continuously. It was there I first was permitted to see and speak to my guide and guardian. He stood upon the summit over against me opposite; and the valley was between. When I opened my eyes I saw him there, as if he had suddenly taken on a visible form for me, that I might see him the more plainly. And so it was indeed, and he smiled on me, and stood there watching me in my perplexity. He was clad of glittering silk-like tunic to the knees, and round his middle was a belt of silver. His arms and legs below were bare of covering, and seemed to glow and give forth light of his holiness and purity of heart; and his face was the brightest of all. He wore a cap of blue upon his hair which was like silver just turning into gold; and in the cap shone the jewel of his order. I had not seen one of this kind before. It was a brown stone and emitted a brown light, very beautiful and glowing with the life which was all about us. Zabdiel, who resided in the tenth level of heaven, had never, until now, come face to face with his guardian angel. Imagine traveling through life after life, sensing a benign presence, a compassionate friend but never quite grasping the image and form of that companion. Now, finally, Zabdiel was only a valley away from his mentor. Zabdiel stood in awe, not because he felt small or inferior, but of meeting a spirit that has accomplished what Zabdiel has dreamt of attaining. Not acquiring by luck or by who he knows (for that is impossible in the spirit world), but a spirit that has risen through his own dedication and discipline. As in our fascination with athletes, whom we admire, not because they are famous, but we look up to because we understand the work they put into their profession, day in and day out, to achieve the status they have attained. We stand in awe because we too, would like to match their work ethic and self-control. As spirits move on higher in the stages of heaven, they and the surrounding environment, become brighter, more energy and less material, more of the all-encompassing love from God is reflected from their ethereal bodies. Hence, an inferior spirit, sees only white light and is unable to make out features and is uncomfortable in such surroundings. Zabdiel, thought that he wanted to walk to his favorite place to meditate and ponder about his future, was actually motivated to be at the exact place and time determined by his guide. If Zabdiel was easily manipulated by a higher spirit, examine how easily we, on earth, must perform deeds or come up with ideas that we thought were our own, but actually were implanted in us by our guardian spirits. Don’t doubt, even for a moment, that many of our actions, we believe that come from ourselves alone, are covertly placed in our minds by higher powers. Yes, we still have free will to make important choices, but we are led to certain episodes in our life according to our life’s plan. “Then I saw him or awhile stand very still indeed, as he might have been a statue very well. But presently his form took on another aspect. He seem to be in tension as to the muscles of his arms and legs; and I could see, beneath the thin gossamer-like garment, that his body there was in like manner exerting its every power. His hands were hanging at his side, and turned outward a little, and his eyes were closed. Then a strange thing happened. From beneath his feet there came a cloud of blue and pink mingled; and it moved across from him to me until it was a bridge between the two summits, and spanned the valley below. It was in height little more than that of a man, and in breadth a little broader. This gradually came upon me and enveloped me, and when I looked I could see him through the mist, and he seemed very near. 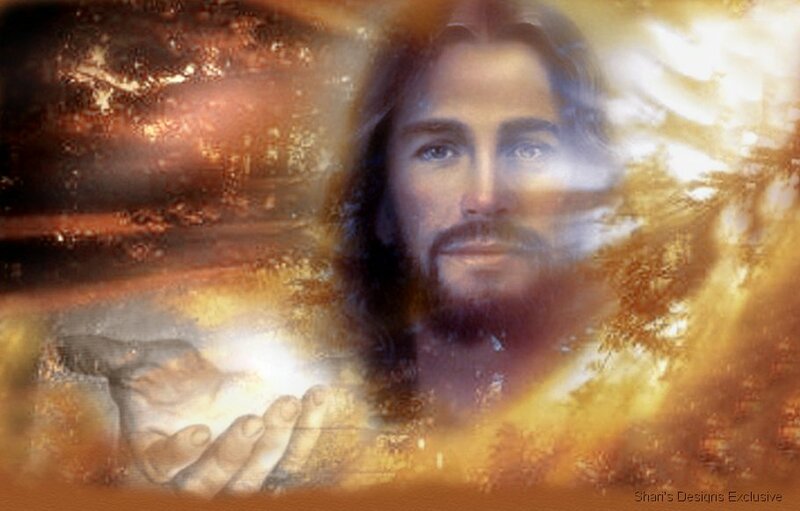 So I began to walk to him through the shaft of luminous cloud which was all about me, and, although as I went it was elastic beneath my feet, like very thick velvet, yet I did not sink through the floor of it into the valley, but continued my way uplifted with great joy. For he looked on me and smiled as I went to him. But although he seemed so near, yet I did not reach him, and yet again, he stood still and did not retreat from me. But at last he held out his hand to me and, in a few steps more. I had it in mine, and he drew me on to firmer footing. Zabdiel’s guardian angel, through the force of his mind, created a bridge across a deep and wide valley. The higher the spirit the more they are able to conjure from their will. This, in essence, it why spirits, and ourselves, strive to improve. The more disciplined one becomes, by following the Doctrine of Spiritism, to be loving, kind, fraternal, charitable to all in all circumstances, yet exercising authority with gentle calmness, the capabilities a spirit possesses increase. Whereupon, billions of years from now, a spirit on earth in an immature state, will someday lead the destiny of a planet in the same manner as Jesus leads us. We too, just like Jesus, could become the governor of a planet or planets, to help millions of young spirits rise and become working members of the spirit community. The entire organization of the spirit realm revolves around promoting spirits to their utmost capabilities. To enable them to weld great power for the benefit of others. To achieve that goal, spirits must be rigorously trained to never violate the Divine Laws and to always allow spirits their free-will. We live in a just universe. It doesn’t appear to us on earth, trapped amongst corrupt officials and criminals, but this is for our own good. Only by living with the results of the lack of love and brotherhood can we see for ourselves the tragedies that occur. The philosophy is the same as allowing your children to occasionally make their own mistakes, so they will know … since you realize they believe they know better than you … the results of their ill-considered actions. We are no different. “Then we sat down and communed together of many things. He called to my mind past endeavors, and showed me where I might have done my task in better ways; and sometimes he commended me, and sometimes did not commend, but never blamed, but only advised and instructed with love and kindliness. And when he told me something of the sphere on the borderland of which I then was; and of some of its glories; and how the better to sense his presence, as I went about my task to which I should presently return to finish it. The past accomplishments of Zabdiel were discussed in a sympathetic and caring manner, with gentle suggestions of how to perform better next time. We have seen the same consideration and kindness from spirits in Diego’s account and other stories by people who have had near death experiences. We are always in view of someone superior in the spirit realm, whether we are in physical form or in spirit, there are higher spirits evaluating our performance, not with malice but with kindness and caring. For, as stated earlier, the goal of the spirit realm is the successful promotion of souls, so they too, can contribute to others. Our lives are precious and our time here on earth shouldn’t be squandered by stress over temporary material pleasures. Our current society lays a very alluring trap for us, advertising happiness is within our grasp, if we just earn a few dollars more. To the seller of the goods or services, it doesn’t matter how the money is earned, via licit or illicit means; only that is ends up in someone’s coffers. None of the products, homes, and toys acquired will accompany you to the spirit world. Only the sum total of your deeds. Your guardian angel attempts to tell you that whenever you pause from the daily grind to listen. Diego, fully engaged in his spirit mind, knew this to be true, why else would he so willingly journey back to his family and face a difficult life? 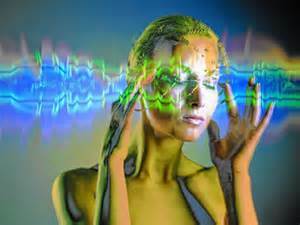 “The guides told me telepathically with luminous words, to relax because I would soon arrive. Suddenly I saw myself overflying my body again. A being appeared and told me I had to go into the body. I finally fell down with a dry and heavy fall, weighing tons, to see myself sitting on my bed with my eyes open and burning. I felt a deep pain near my heart, a pain almost unbearable, and a great difficulty to breathe. My body was rigid. My arms could not move. My feet were frozen and I could not move them either. I could only allow small threads of air enter my lungs, or else they would hurt. I felt dizzy and the pain in the chest was intense. I was unconscious for a moment, but when I managed to move my waist, I closed my eyes and lied down. I was still hearing internal and external noises and zooming. The pain near my heart lasted with intensity for one hour and a half. I managed to go to the bathroom, feeling as tired as ever in my life. I then went back to bed and slept for 12 hours. When I woke up, I remembered the guides told me how my wife, my daughter and I would die. I saw my complete future and that of my daughter. I was told I would only remember fragments of it in certain moments. The guides told me my life would continue as tortuous as it had been, but with small satisfactions. It had to be like that because it was programmed that way, and the purpose, although painful, was very constructive. Diego’s time in the spirit world was at end. Unlike many others, he was allowed to retain memories of future events. Mostly, he would only realize what he was told after an episode triggered a recall of that particular event. Why was Diego allowed to peek into the future? There could be many reasons. Many are told about important events for all of mankind, others are told of local future occurrences so they may be instrumental in warning and aiding others. None of these fit the profile of what was revealed to Diego. I believe Diego was given a glimpse of the future to keep him interested in his life on earth. To urge him not to disengage from life. The spirits told him, not once, but at least twice that his life would be arduous … he would live through unpleasant circumstances and have to deal with them as best as possible. Diego was given a not-so subtle hint to not leave before his allotted time. He goal is to stay the course, no matter how terrible the storms that would buffet him in the future. We are told that people who have committed suicide in a previous life, would have an urge to once more end their life at the same juncture and age of their next life. That they would have to resist the temptation to bail out of their commitments. Furthermore, it is known that life on earth is difficult for spirits who have lived on a more advanced planet and have volunteered to come to earth to help humanity progress. The shock of living in a chaotic and severe environment, with injustice ever present, is many times too much for a sensitive spirit. These more mature souls may succumb to drug addiction or even suicide because they are unable to withstand the cruel environment they were transported into. Diego was given notice that his trials would consist of high hurdles. We are given a course of edifying experiences, designed to remove the wrongs we committed in past lives. Most probably, Diego asked for his life and the events he would experience, to absolve himself, on what he determined, he needed to atone for past deeds. What is absolutely certain is that Diego has a group of friends in the spirit realm who are wishing him well and are vitally interested in guiding him to success. Just as a close-knit family will look after their cousin who is in town to go to college, our spirit friends worry about us and they don’t hesitate to provide guidance where required. Spirits from primitive planets and less developed planets than earth come to us to mix with more advance spirits to learn to become civilized. This is why we see the senseless violence from the lower strata of our society. They are used to taking what they want. Whereas, Diego has been reincarnating on earth for at least two thousand years; during which he has built up a network of colleagues. 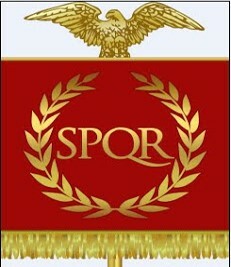 Comrades who have been instrumental in guiding the civilizations in which they were placed. If Diego was an inconsequential player, he would not remember the name of the emperor of one of the most powerful empires on the planet or even the existence of Bach. Somehow in some manner, he had a significant role. In his present life, I believe that Diego has chosen to atone for past failures and shortcomings. He has chosen to make up for his mistakes in a fairly complete manner by living a hard and trying life. My sense is that Diego wishes to return to the spirit world, so he may, once again, prove himself capable of coming back to earth, to help lead humanity to the next level of progress. “Future Events Foreseen”, infer to many, that one could foresee a vast horizon of what was going to occur … in fact, as Diego tells us himself, his recollections come just before the event commences. The spirit world is clever, they know how to keep Diego in the game by putting the carrot just ahead of his nose! Their action was deliberate, almost nothing is done by chance. Every word spoken to Diego was well though-out. Each subject fully discussed was done for an edifying purpose. As a teacher measures her or his words to a curious student, so does the spirit realm interact with us. They are advised of our level and are cognizant in the most effective manner in which to approach us. “Although I saw all my future, I shouldn`t remember it. I do remember when things are about to happen and they do exactly as seen before. There is no time to change anything, because the vision is seconds before things happen. “One of the things I saw in my life review in 1987 had to do with a cousin of mine. The last time I saw him he was seven years old. And in the life-review (of the future) a young man approached me, whom I didn´t know , and he told me he was my seven-year old cousin, and the way he looked now (around 20 years old) was the way he would look by the time of his death. Because he would die very young. He also told me his father, my uncle, although a sick man, would live till a very old age (30 years later he died at the age of 95). In 1992 I traveled with my daughter to my uncle’s house and saw the cousin whom I had last seen when he was seven. In the surprise of the moment, I didn´t remember the near-death meeting with the adult shape of my cousin. He was big, round white face, big eyes and the thick eyebrows reminded me of my grandparent’s brothers. When we shook hands, I found myself shaking and then my body temperature increased as though I would have fever. The reaction of my body surprised me. It was one week later when I was in the plane flying back to my city that I remembered his presence in the NDE episode of years before. In the NDE, in a sort of hall, when I was communicating with the light companions, this young man saluted me kindly and since I didn´t know him, he told me he was my uncle´s son. To us murder is a random event, in many cases, accomplished during a spur of the moment violent attack. The spirit world knew Diego’s cousin would return from the earth early … his cousin also knew this. All was planned before Diego’s cousin was born; his life’s blueprint was etched. The moment Diego’s cousin was born his trajectory was set. “We are predestined cosmic particles, in an induction to walk through a predetermined path of which we remain unconscious, fortunately for most. But we are always free to grow in our own consciousness. For no matter how predetermined the path is in this earth, the soul is free to learn or not the lessons, to evolve, to grow or not, to be wiser, to forgive, to love. Because these are the only purposes of the ALL CONSCIOUSNESS to whom we belong. We will not be judged, for we only judge ourselves which is the greatest growth. Each of our decisions on earth, changes our consciousness-spirit-soul and each one of these changes will be meditated by the Total One. I feel lucid and satisfied of the grace I was given to stay or leave this earth with no implication of guilt, and I also enjoy to be bathed in this earth’s tender pollen. As the result of his NDE, Diego fully grasped the entire concept of why we are here and what is waiting for us to return. Everything that Diego learned is available to all of us, we don’t have to have a near death experience. We have the revelation of Spiritism. Diego realizes his life has meaning, a deeper purpose than most of us know about our own. Unlike so many others, Diego recognizes, absolutely sees, he is traveling through a learning experience and performing as well as he can, while certain in the knowledge that a wonderful and loving environment is waiting for him to return. Just as the same realm welcomed back Diego’s cousin after such a short stay on earth. His early death wasn’t just another story of a life cut down too short … it had a purpose and it lasted for exactly as long as it was destined to last. No more, no less. 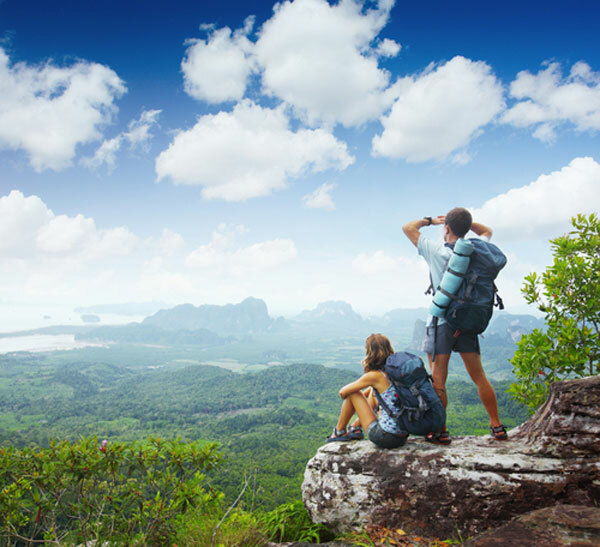 I discuss in my book Explore Your Destiny – Since Your Life is (mostly) Predetermined, how we are part of a bigger whole, always connected to the spirit realm. As Diego tells us we are free to choose how we react during our trials. And as such, don’t be discouraged by thinking back about past failures. Another opportunity will present itself and you will have the chance to live up to your own expectations and prove that you have changed and grown toward the light and love. Spiritism, the Third Revelation – is here and waiting for you to find out, for yourselves, what Diego discovered. It is all written down and ready for you to devour it. Deep down in your sub-conscious you realize we are here for a greater purpose than to be born, grow, and die to return to dust; forever. No, we are “cosmic particles”, we are spirits, a form of energy and matter, who are on an immortal journey to ascend higher and higher toward perfection. Be aware of your voyage, become more spiritual, more loving and kinder. A reward beyond your comprehension shall await you on the other side. NorthWest Spiritism. (2016, June 5). NDE-Diego NWS. Bainbridge Island, WA, USA.